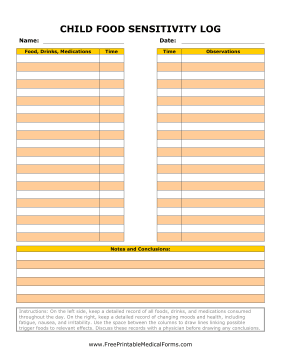 This brightly colored children's food sensitivity log is perfect for figuring out what food or substance is causing a bad reaction in your child. Foods eaten are recorded on the left and reactions are recorded on the right. By connecting the two over a long period of observation, one can often figure out where the problem lies.